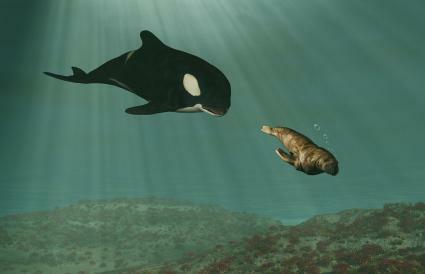 If your child loves love orca whales, you may be looking for some killer whale games for kids. There are a variety of killer whale game types for kids, from escape games to trivia to orcas helping penguins get points! These orca whale games will help kids have fun on a rainy afternoon or when they have free time to play online. Kid friendly Internet games can be a great way for your son or daughter to have some fun on a rainy day, and with games based on killer whales, your budding marine biologist or whale lover can have fun and perhaps learn something too. In this great game from Arcade Cabin, your goal is to help the whale escape from captivity. You have to do this by navigating the whale through the waters and avoiding traps and barriers. When you successfully get your whale to the wall, you then have to jump over the wall and continue to swim. As you're swimming, your whale might get hungry, so it's up to you to make sure that it is properly nourished by eating the fish that swim by. Be careful of enemies that try to stop you from leaving... you have to successfully swim past them. Help your whale escape captivity and return it to the ocean! Your child may also enjoy playing this fun trivia game about orca whales. The game tests your knowledge about the marine mammal with ten difficult but interesting questions. For example, do you know what the enemy of an orca whale is? Or, in what oceans orca whales can be discovered? Perhaps, your child just recently learned the differences between male and female orca whales... let him or her play this trivia game and submit the answers. A score of six or higher wins! Even if your child loses, he'll learn some new facts about these interesting creatures! In Orca Slap, the characters of Pingu and Yeti receive some help from the orca whale. You use the penguins as darts and play darts like the normal game. When the penguin jumps in the water, he is picked up by the orca's tale. You then direct the penguin in the right direction for the Yeti to hit him with the snowball. The penguin will fly towards the iceberg which has a giant dartboard on it. You gain points the same way you would with darts but use your orca and Yeti to do so! 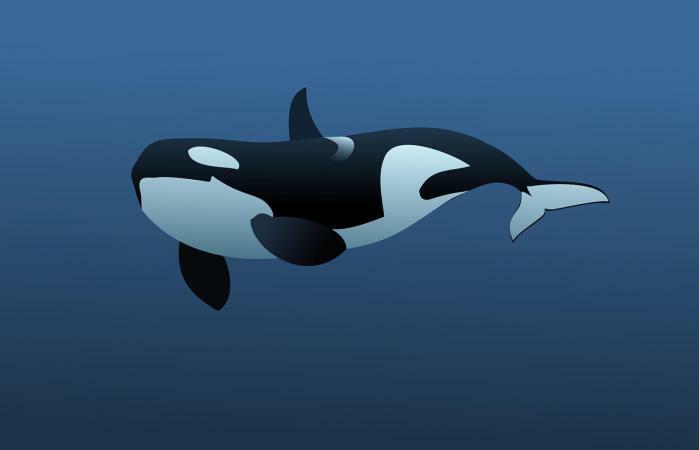 Looking for fun kids apps that you can download on your Android tablet or phone, check out Orca Family Stimulator. This game allows kiddos to take their orca pod on a family adventure through the ocean. You'll get to complete quests as well as meet both friendly and hostile ocean animals. Offered through the Google Play Store for your computer, tablet, and phone, the Orca Survival Simulator allows kids to defeat sharks, stingrays, and octopus. Not only will kids defeat enemy bosses, but they will also work to save their family. In addition to earning points and leveling up, you might just enjoy the tropical weather. This fun entertaining killer whale stimulator created by MIT allows you to have a killer whale follow your cursor. Not only will he follow your cursor around the screen, but you can have him look through the glass and reorder the shapes in a funny way. Moving him around is fun and entertaining for younger kids from ages 2-5 that are obsessed with killer whales, but don't understand the logic of the other online games. Now that you've seen all the different killer whale games for kids-from the educational to the exciting-the only question that remains, is which one should your child play? Take some time to check out the options available; from fun to educational games, there's an orca whale game out there your child will love.